Physician-owned and operated medical practices appear to be going the way of the dodo. Across the U.S., hospital systems are buying out private medical practices at a rapid pace. 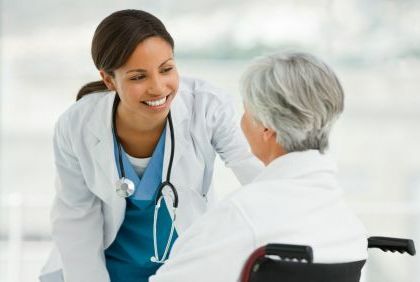 Between 2005 and 2008, the percentage of medical practices owned by hospitals soared from 25.6% to 49.5% according to the Medical Group Management Association’s 2008 Physician Compensation and Production Survey (http://www.mgma.com). In 2010, for the first time, the number of new physicians who joined hospital-owned practices exceeded the number of first-year practitioners who became employees of medical groups owned and operated by physicians. Smaller physician practices are struggling under the strains of the recession and a rapidly evolving regulatory climate. Facing reductions in government reimbursements, an increase in the number of patients who are unable to afford their medical bills, uncertainty over the health care reform law, and the impending expense of the federal government’s urging providers to purchase electronic health records systems, many physicians in private practice are succumbing to hospital systems’ offers of economic certainty, reduced hours and therefore better quality of life, more resources, and the ability to devote more of their time to patient care. Hospital systems are on a private practice buying binge in anticipation of health care reform and the resulting need for an increased supply of doctors as more people obtain health insurance and seek primary care. Financial incentives created in the reimbursement scheme also support an integration of primary care physicians and hospitals. For example, the payment system for hospitals incentivizes efficiency because payment amounts are based on diagnosis codes, not necessarily the duration and scope of a hospitalization; however, the fee-for-service payment system for physicians does not necessarily induce the same amount of prudence. Hospitals have an improved ability to eliminate duplicative tests and provide patients with faster care where they control the physicians managing that care. On the advent of electronic health records systems’ major role in healthcare management, physicians and hospital risk managers need to remain cognizant of the threat of lawsuits, the importance of documentation in medical claims, and practice thorough and defensive documentation. 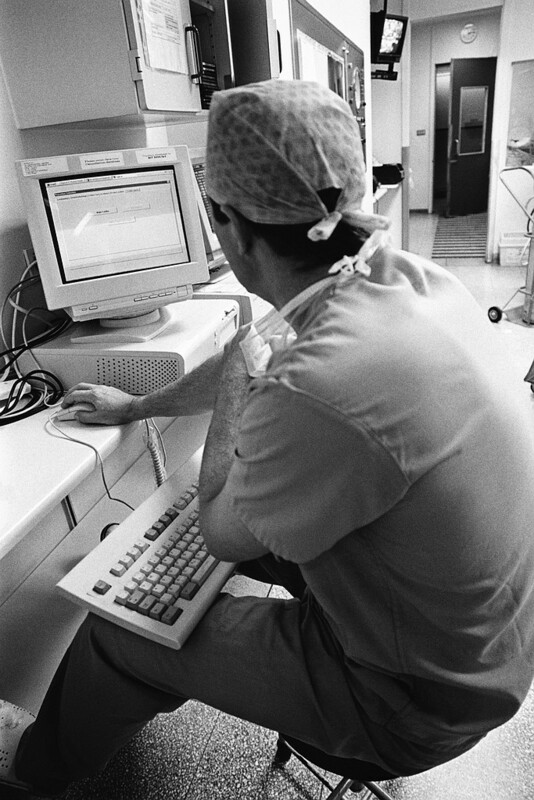 Plaintiffs’ lawyers are seizing the opportunity provided by the rapid adoption of electronic health records systems – along with the associated risks and challenges – to argue that doctors are letting these electronic systems perform the evaluating and thinking in lieu of the physician’s more thorough clinical analysis. As hospitals reduce their independent contractor physicians and employ growing numbers of in-house physicians, hospital systems should use caution with respect to their policies and procedures. Federal anti-trust laws prevent a hospital from having policies that require its employee doctors to refer patients to their fellow in-house physicians. There has also been at least one lawsuit alleging that a hospital failed to call in an outside physician because it did not want to lose the business to a competitor. In Burchett v. Carilion Roanoke Memorial Hospital, the plaintiff suffered a burst colon and alleged that the Virginia hospital failed to bring in an outside gastroenterologist because it did not want to share business with a competitor and thereby failed to provide the plaintiff with the best possible care. The hospital denied that it had a policy to prevent “leakage” of its business to competitors and claimed the lawsuit was intended to harass and defame the hospital. Regardless of the outcome in Burchett, the takeaway is that hospitals should be wary of policies that could appear to encourage their physicians to direct patients within the hospital system. As with any shift in corporate structure, the trend toward hospital systems directly employing their own physicians will inevitably be exploited by plaintiffs’ attorneys to create new avenues for liability. Historically, in most states, hospitals were only vicariously liable for the medical malpractice of their employed physicians. In certain cases, hospitals could be liable for the malpractice of their independent contractor physicians for policy reasons based on ostensible agency. For example, in Pennsylvania, the two factors required for a finding of ostensible agency are: (1) whether the patient looks to the hospital, rather than the individual physician, for care, and (2) whether the hospital “holds out” the physician as its employee by act or omission which in some way leads the patient to a reasonable belief that he is being treated by the hospital or one of its employees. Goldberg ex rel. Goldberg v. Isdaner, 780 A.2d 654, 660 (Pa.Super. 2001). Pennsylvania courts permit the subjective determination of whether the patient sought care from the hospital instead of the physician to be established through inferences derived from the evidence. Id. at 661. With regard to the second factor, a “holding-out” by the hospital can be found when the evidence establishes that the hospital acted or failed to act in a way that would give the patient a “reasonable belief” that she was receiving care from the hospital or one of its employees. Capan v. Divine Providence Hospital, 430 A.2d 647, 649 (1980). As the number of independent contractor physicians working in hospitals decreases, it will become more reasonable for patients to assume that the physician treating them at the hospital was an employee of the hospital. Additionally, hospitals seeking to preemptively disclose the status of independent contractor physician to patients will face logistical challenges where the number of employed physicians drastically outweighs the independent contractors. Hospitals should experience at least one benefit by utilizing employee physicians instead of independent contractor physicians. In addition to the availability of vicarious liability and apparent agency, many states have adopted a private cause of action against a hospital for corporate negligence, under which a hospital may be held directly liable to a patient for an independent contractor physician’s malpractice if the court finds that the hospital breached one of its non-delegable duties (such as providing non-negligent anesthesia services). One of the difficulties created by this emerging doctrine is that hospitals have increased liability for the actions of others, but no greater control over the conduct of the independent contractor physicians. Under the new model where hospital systems are integrated with employed physicians, hospitals will benefit from having more control over employee physicians – and the physician’s legal defense in the event of a lawsuit.